The University Card Center, located on the first floor of Elwell Hall next to Residence Life, issues identification cards to all University students, staff and faculty. Your ID card is intended to be used as the primary source of identification on University property and to provide a more secure University community. The Card Center reminds students to hold on to your ID! A lot of privileges are granted with your ID including but not limited to access to your on-campus housing, dining facilities, rec center admission, library books, laundry, vending, photocopiers, mail services and even the Student Health Center. The University Card Center administers a flexible spending account known as Husky Gold. 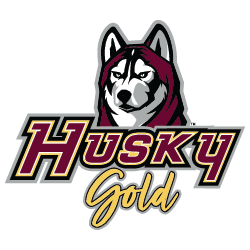 Husky Gold is a single declining balance, multipurpose fund that is available to all students, faculty and staff of Bloomsburg University. Cardholders who elect to deposit funds into a Husky Gold account agree to be bound by the terms and conditions of Husky Gold. Husky Gold allows the campus community to buy food and beverages from dining areas, buy books and merchandise from the University store and even do laundry on campus all without having to use cash. Instead, you add funds to your Bloomsburg University ID card and use your card as a debit card. Husky Gold even carries over from semester to semester as long as you remain an active member of the Bloomsburg University community. How is Husky Gold different from FLEX? FLEX is a dedicated fund used only in the dining services on campus. Depositing into the FLEX allows students to set aside funds specifically for meals and snacks reducing the need to tightly manage their Husky Gold account for fear of not having enough money for food. Notice: A replacement ID due to your card being lost, stolen or damaged (beyond normal wear and tear) incurs a $25.00 fee as of August 14, 2017.